I’m lucky enough to have done survival training in some pretty extreme places, including the driest desert on Earth in Chile’s Atacama. 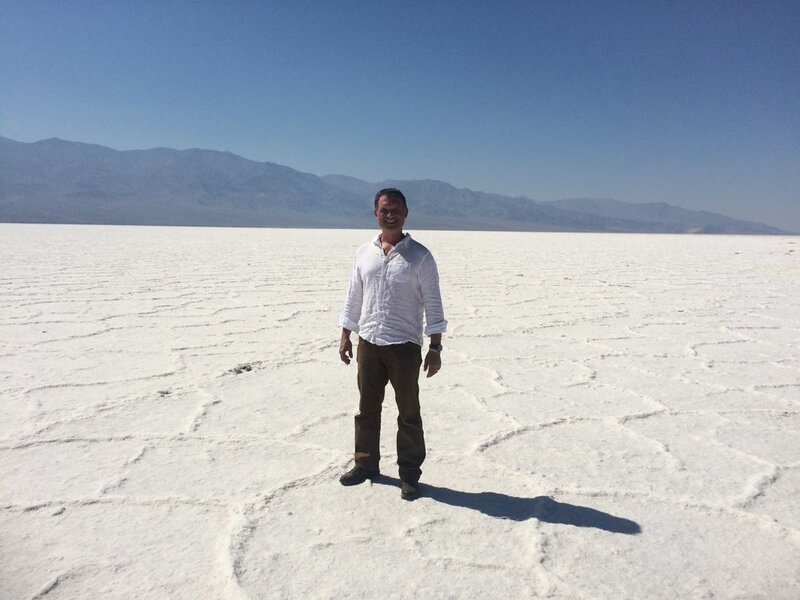 While I was away recently with our desert survival course I managed to visit the hottest place on our planet, Death Valley. I took the picture on the salt flat at Badwater Basin, the lowest point in North America, it’s summer days are regularly up at 120 Fahrenheit (almost 50 Celsius). Hot stuff. The air here is so dry that you can lose almost ten litres of water per day just sitting in the shade - if you could find any.